Tube 1/4" to 1/2" O.D. 250psi - See Plastic Tubing Pressure Rating Data for Further Limitations. Molded Nylon Bodies and Nuts. Acetal Copolymer Sleeves (Celcon®). 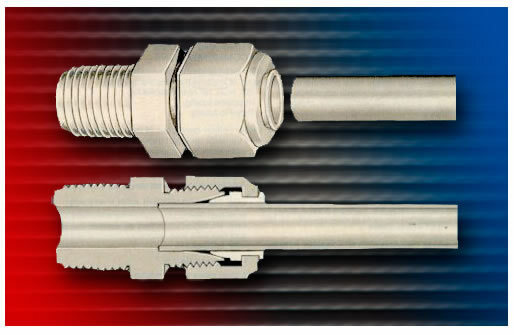 NYLO-SEAL fittings can be used to couple to most types of thermoplastic tubing.